I am going to have to start with a confession, “Resolved” might be a bit of a stretch. For starters, the best case scenario looks like recovering the information but you’ll need a temporary place where to store it, test it (make sure it’s fine not corrupted), etc. I can’t stress enough that as soon as you have messed something up you should read everywhere all you can to avoid following one method and screwing your chances of real recovery with it. I say this because if you write on top of your old data it’s gone probably for good. You have to be extra careful and be mindful that one method might mess up your chances with another one, so err on the side of caution. By this point all bets are off, you should have had made a backup and this should not be your only alternative. If the information is valuable you’re better off hiring a professional than trying to fix it yourself. So all I can really say now is I take no responsibility, this method seemed to have worked for others and it worked for me thankfully… it does not mean it will work for you. So now that you understand the risks involved (if not please abort), let’s get on with it! Re-create the exact same volume but choose not to format it. This may be difficult if you do not remember the exact size you had created originally, especially because the Disk Management snap-in tends to round partition sizes. Using Dskprobe.exe, recover the backup boot sector for the NTFS volume from the end of the volume. Because it is a dynamic volume you may need to use Dmdiag.exe to help find the backup boot sector, or search for it by using Dskprobe.exe (on the Tools menu, click Search Sectors). After rewriting the NTFS boot sector, quit Dskprobe. In Disk Management, click Rescan Disks on the Action menu. This should mount the volume for immediate use. so I did that the best I could. Fortunately my partition covered the whole drive so I just used the max size while creating it. Please not you should NOT FORMAT the partition/volume, if you do then you just made the recovery considerably less likely and harder and out of the scope of this post. By now the partition showed up as RAW (not formatted) and all the recovery utilities where unable to recover the information I needed. By now I had lost almost all hope until I started to look at the actual data looking for any information on any sector when I realized everything looked like garbage… eh I mean, random text that might as well be encrypted data! So here is where things took a turn and my immediate future looked brighter! The deleted volume was encrypted using BitLocker, and because of that the OS was unable to recognize the formatting on the drive and what not. Doing some research I found a system utility designed for scenarios such as this. Make sure you have NOT done a thing to your deleted volume/partition… formatting specially. so now that you have everything you need let’s get started! I’ll start off with a big warning: Do NOT format the volume/partition. There are several ways to launch Disk Management (compmgmt.msc), so go ahead and use your favorite method and launch it with administrative rights (as you’ll need them to create the partition.) Now that you have it open, time to go look for the Unallocated space where you had the partition you are trying to restore. <InputVolume> Identifies the drive letter of the BitLocker-encrypted drive that you want to repair. The drive letter must include a colon; for example: C:. <OutputVolumeorImage> Identifies the drive on which to store the content of the repaired drive. All information on the output drive will be overwritten. -rk Identifies the location of the recovery key that should be used to unlock the volume. This command may also be specified as -recoverykey. -rp Identifies the numerical recovery password that should be used to unlock the volume. This command may also be specified as -recoverypassword. 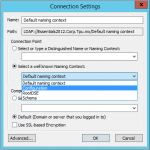 -kp Identifies the recovery key package that can be used to unlock the volume. This command may also be specified as -keypackage. -lf Specifies the path to the file that will store Repair-bde error, warning, and information messages. This command may also be specified as -logfile. -f Forces a volume to be dismounted even if it cannot be locked. This command may also be specified as -force. -? or /? Displays Help at the command prompt. This is what I’ve seen most people use. I haven’t troubleshoot enough but I did ran into some issues using an Imagine file. I tried to mount it with no luck (The disk image file is corrupted.) and people suggested using 7Zip to open the image file. That worked fine but all the information I got out was corrupted. I did experience an issue where the progress got stuck at 17% and I had to click enter to have it continue progressing. The same thing happened at different progress %s which might had been the root cause of the data corruption. ACTION REQUIRED: Run 'chkdsk B: /f' before viewing decrypted data. Volume label is NTFS Store. 1912 large file records processed. 3145597 MB total disk space. 662182044 KB in 485658 files. 155952 KB in 34460 indexes. 1223991 KB in use by the system. 2497588 MB available on disk. 805273087 total allocation units on disk. 639382591 allocation units available on disk. and voilà! You got yourself a volume (B:) with the information that used to be stored in the encrypted drive! I am still double checking all my data is there and that no information is corrupt but thus far it is incredibly promising. All the files I have tried to access are there and displaying properly. Until the users come in tomorrow morning I won’t know for sure if this was 100% successful but from what I’ve seen I believe so. Hopefully this guide saves your life data as well! In my case, when I deleted my partition, partition 1 of 128mb remained there so I had no issues. You should use diskpart to see if that is the case. If you don’t have it then partition alignment won’t be the same without it. A potential solution would be to grab a similar drive, partition it, and recreate the partitions identically to replicate as they were before you deleted them in the troubled drive. I am no expert on this, so it’s up to you to pick the right tool and not overwrite your data. Q: This imagine file looks familiar, can I mount it on a Mac? A: Sure can. Should work with windows as well… not sure what to make it of though.